Dassault Aviation, Glyn Peter Machin, Lanson and Preciosa – associate to the home designers Sabrina Monte-Carlo & Paola Lenti – the catering company Private Dining by Fairmont Monte-Carlo and the watchmaker Ulysse Nardin, official sponsor. All will be situated in the special exhibition area dedicated to luxury brands linked to superyacht lifestyle. 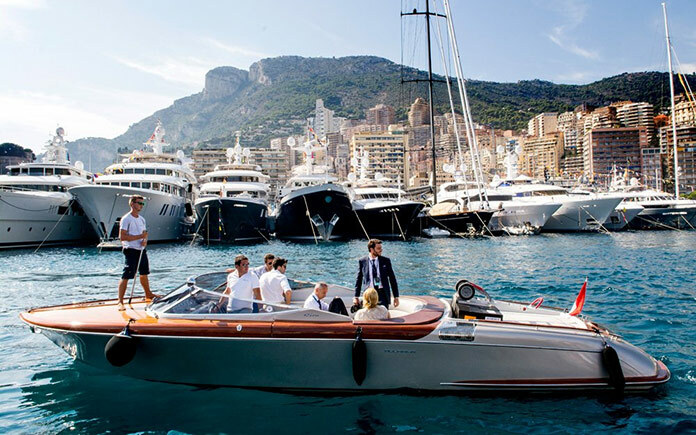 These partnerships clearly reflect the trust and the loyalty given to Monaco Yacht Show: from the aviation constructor Dassault Aviation to the interior designer Glyn Peter Machin who have already exhibited in the show for several years; the lighting manufacturer Preciosa confirms last year’s first successful experience by returning. The common aim to get more associated with the brand of Monaco Yacht Show to reach the world’s best private and business clientele is also shared with the French house Lanson, who is back as official champagne partner. Launched in 2012, the Upper Deck Lounge meets the needs of managers of exhibiting companies as well as private visitors who demand a reception area away from port Hercules’ crowded docks and stands while being inside the show venue. An area spread over 650 sqm in a refined environment matching the partner brands and which offers a range of top-flight services for visitors and exhibitors: restaurant-caterer, lounge, champagne bar, confidential meeting rooms and dedicated wifi offered by MTN, provider for satellite communications. Sponsors and partners of Monaco Yacht Show also contribute to the activities of the lounge by displaying their finest collections of products on their exhibition spaces.